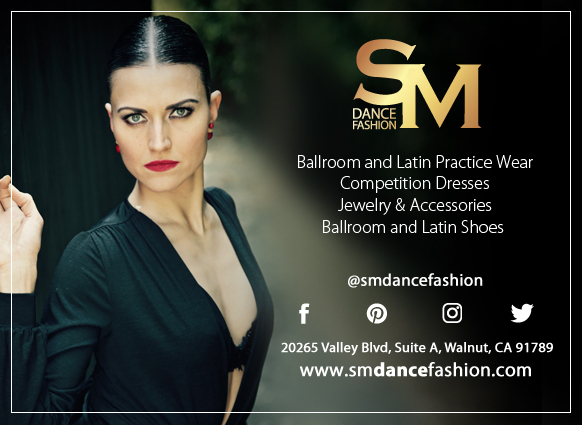 Erin Drake is a professional ballroom dancer and teacher in Orange County, California. When I heard about her new nonprofit, Rx Ballroom Dance, I knew it would be something you guys would love to learn about and support. Please read on to hear about the amazing progress her first participant has already made. NOW THROUGH DECEMBER 25: When you buy the Solo Practice Guide for Ballroom Dancing, I will donate 25% of the sale to Rx Ballroom Dance. This past Saturday, I spent pretty much my entire day at the studio to attend an American Smooth dance camp. My studio holds these all-day camps at least once a quarter, and usually two in a row – one on Saturday and one on Sunday. Both amateur and professional ballroom dancers attend the classes, sometimes sharing classes and sometimes splitting into separate groups. All have their heads filled with dance knowledge from top-level coaches. Have you had the opportunity to attend workshops like these but wondered if it would be too much for you or you weren’t “good enough” yet? I’m pleased to welcome Melissa Cyr of DanceSport Place for a mid-week guest post! Pay attention because this article is packed full of value and answers a few questions I know you’ve been wondering about. Meanwhile, I’ll be practicing my drills. You’ve had a long day. It’s finally time for your dance lesson and you quickstep it to the car and head to the studio. You can’t wait to lace up your practice shoes and be transported from paperwork and drudgery to footwork and self-discovery. Your coach starts the lesson but to your dismay, halfway through you’re still working on solo rumba walks across the floor. By the end of the lesson, you’ve hardly been in dance position at all, and haven’t danced together once to music. The lesson ends and although you learned something (like how can rumba walks be so complicated?!) and your legs will be sore tomorrow, you feel unsatisfied. Starting December Off Right – With Dancing! I can’t believe it’s December already! I feel like I’ve said this before, but every year seems to go by faster and faster. Part of it is probably due to the fact that I’m getting busier. If you caught my Facebook livestream, you know that November was especially busy (not my choice). Thankfully, for this first weekend of December, I am not working overtime. I get to dance instead! Yesterday’s lesson focused just on rhythm. Teacher wanted to finish going over the choreography for the rumba and cha cha routines and introduce the east coast swing. We didn’t end up getting to the swing, but we rarely get to the last things on Teacher’s list so no matter. Next time! Ask the Girl is making a reappearance! Today’s episode is inspired by a reader who asked how you’re supposed to follow when you’re in practice hold and you don’t know what steps are coming up next. Following in general when you don’t know what’s coming next is challenging, even more so when you are in a looser frame such as practice hold. Without meaning to brag, I think I follow quite well! I still miss my fair share of leads at social dances, but I can confidently say if you can lead me, I can follow you. Here is what I focus on to help me follow my partner’s leads successfully. It’s been awhile since I’ve done a “lightbulb” post! The week has been rough (and it’s only Wednesday!). I spent most of today switching between feeling sorry for myself that I wasn’t in Ohio this week for Ohio Star Ball and feeling excited for the Beautiful Girl in the Ballroom who IS in Ohio! Rock on, girl!